A few weeks ago, Michael let me trace his hands on a piece of cardboard to make a template. 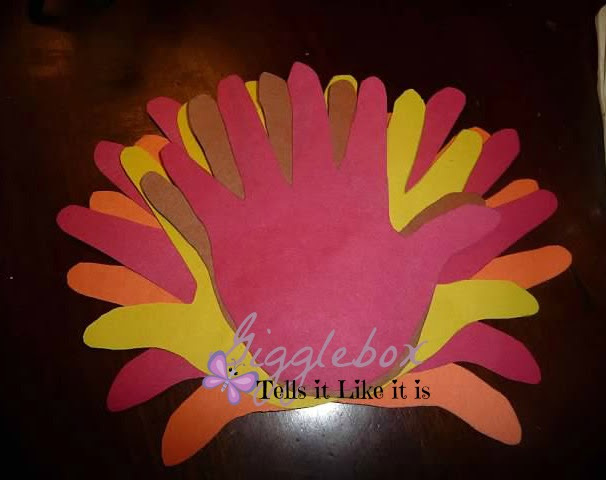 When I opened the construction paper to begin tracing his hand for the turkey feathers, I realized that there was no brown construction paper in the pack. I went to Michaels and found a whole pack of nothing but brown construction paper. 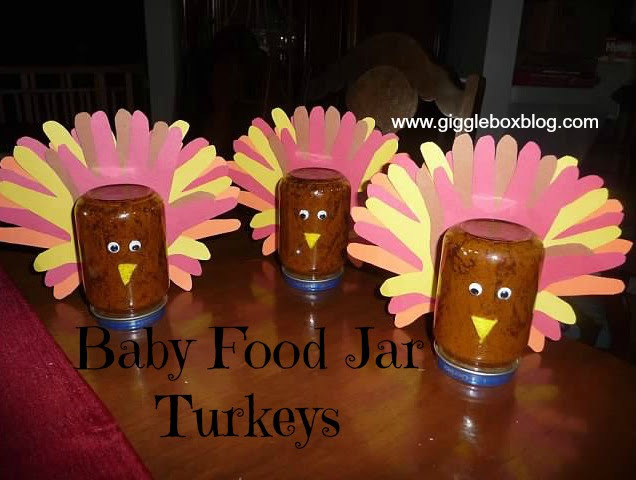 The original idea that I had seen called for the baby food jar to be filled with water and glitter. I decided that I would paint the inside of the jars instead. 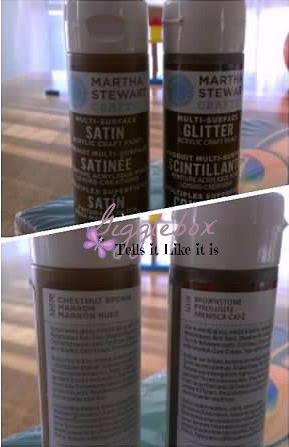 While I was at Michaels I found glitter paint (Martha Stewart Crafts Brownstone) and brown paint (Martha Stewart Crafts Chestnut Brown) to give the same effect. Each turkey feathers used two orange, three red, two yellows, and brown hands. 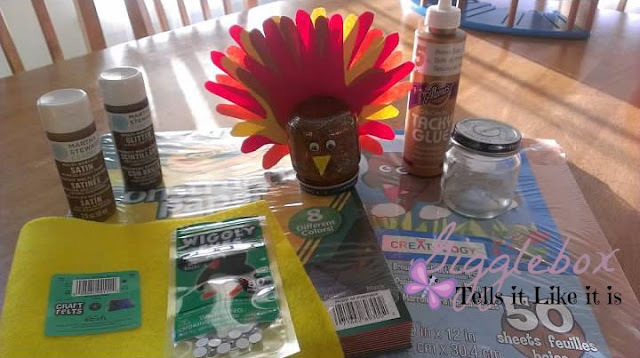 Fan the hands out and glue (tacky glue) them together to make the turkey feathers. 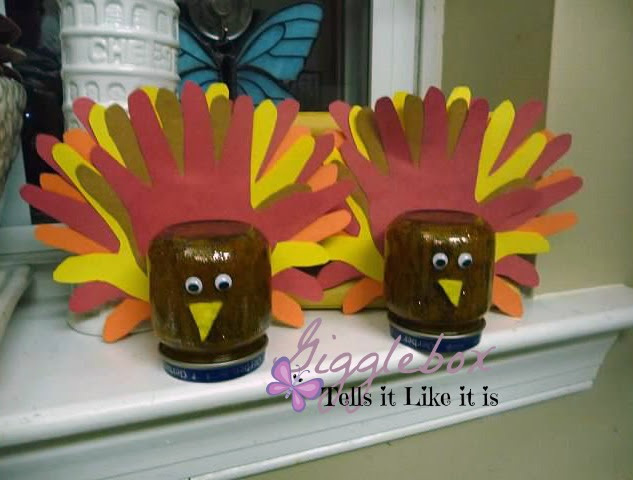 I set them to the side to let them dry and then started on painting the baby food jars. I put a nice coat of the glitter paint on the inside of the jars and let it dry. 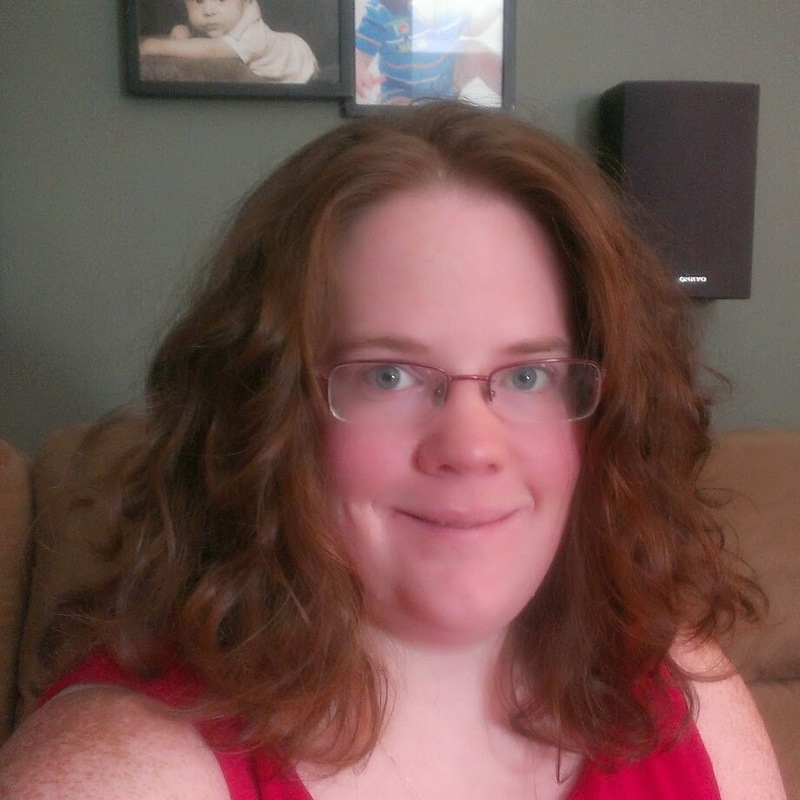 If you're in a hurry and need it to dry faster, use a hair dryer - works great. 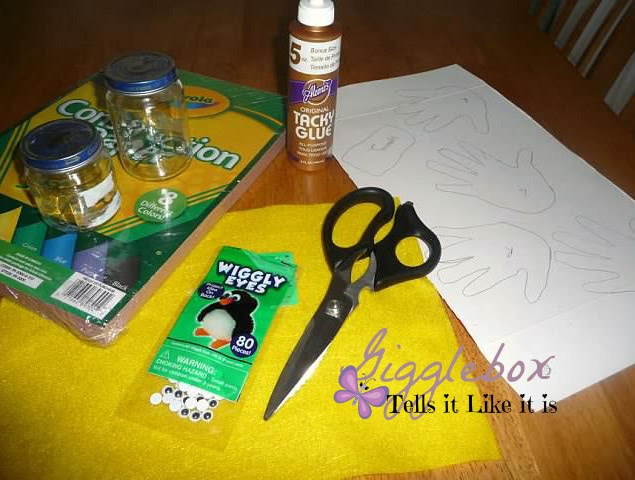 Once the glitter paint in dry, you can then put a coat of the brown paint on. Once the paint is dry, you can put the lid back on and then glue the feathers, eyes, and the beak on. It doesn't matter what size jar you use. I actually used the 2 ounce jars and the 4 ounce jars.